Author Jenni Daiches does not describe herself as a ‘nature writer’. Yet as she reveals here, nature and her response to the Scottish landscape have profoundly pervaded her writing, most recently in her new novel Borrowed Time which takes place somewhere – the location is purposefully left unnamed – in Argyll. I am not a nature writer, but the natural world is part of the environment in which I live, so of course I write about it. When ideas for my novel Borrowed Time began to take shape, I did not specifically plan to write about the natural environment in which much of it takes place, but it was there, part of my central character’s experience. 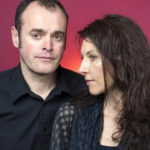 Sonia visits the Highlands in the aftermath of her husband’s death, following what seems a tenuous thread linking her to her mother’s Highland ancestry. Happenstance takes her to a small Highland town where she stumbles on a dilapidated railway carriage up for sale. On impulse, she buys it, and transplants herself to a solitary existence in territory totally new to her. She walks in the woods and climbs Mid-Argyll’s small hills. She notices butterflies and the tracks of deer. She watches the chaffinches that cluster at her doorstep and the ducks puttering on the canal. On a clear day, she can see Cruachan, which her mountain-loving son climbed, and she makes a pilgrimage to An Teallach, for her a memorial to her son. She tames her wild garden and takes pleasure in growing things. I don’t name the place of Sonia’s railway carriage, though anyone familiar with that part of Argyll will surely be able to identify it. Naming a narrative’s location – unless it’s a fictional location – is a kind of cipher. Even if your readers don’t bring to the page their own conceptions of Glasgow or Edinburgh or Aberfeldy or Banff, the naming of them signals a particular location. Without a name, you have to create that particularity; I could not have created Sonia’s world if I had ignored the impact of its natural features. Borrowed Time is structured over nine months of the year 2014, with flashbacks telling the story of Sonia’s past life. It begins in January, and the changing seasons are part of the rhythm of the narrative. In April Sonia sits with her dogs on the grassy edge of a small loch: ‘the cloud is breaking to reveal tentative blue… There are primroses out, and celandines, and pale green buds on the birch trees.’ Near it is an abandoned croft ‘rising out of a tangle of nettles and brambles. The stone is furred with moss.’ There is very little of Scotland’s landscape that is not imprinted by human activity. When Sonia gazes at An Teallach she sees a mountain that ‘seems astonishingly new, as if its wildness was freshly minted for my eyes, but I knew it was old and savage’. She feels threatened by the mountain’s jagged outline, but the path she walks on has been created by humanity and there are fresh boot prints to prove it. A mountain path, crumbling walls, nettles, all tell of human habitation. Most wilderness reflects human activity, if it is not actually human-made. The book ends on 18 September, when Sonia on her seventieth birthday walks along the canal bank into the little town to vote in the independence referendum. ‘The leaves are turning and the water is a deep brown freckled with their bronze and gold. I spot a heron on the far bank, predatory and preternaturally still.’ Is there an echo of the political climate in the colours, the stillness, the sharp-eyed hunter, the turning of the year? Sometimes these resonances happen of their own accord. I have been asked about the origins of my response to the Scottish landscape. Perhaps it goes back to my Highland grandfather, born near Glenlivet, and my grandmother from an Aberdeenshire farming family, although I knew neither of them. Or childhood holidays. Or holidays from Galloway to Orkney with my own children. It has certainly been nourished by much exploration since and over the last 25 years by all the time I have spent at my partner’s house on Lochfyneside. (And yes, sharp-eyed readers will notice the connection with Borrowed Time.) But there is so much yet to discover, so much of Scotland to be walked and observed and felt. There are so many more stories to be told, which will inevitably involve a world where mountains loom and trees grow and birds sing. I live beside the Firth of Forth. I walk everyday with my dog along a path that was once a railway and today, a cold bright February morning, is alive with wrens and blackbirds and rabbits and squirrels. The trees are in bud and crocuses and daffodils are out. Tame perhaps, but the firth itself and its history, its three great bridges magnificent in the sun, symbolise everything one might want to say about humanity and nature. How can one not write about the natural world, if only to demonstrate the consequences of human activity? 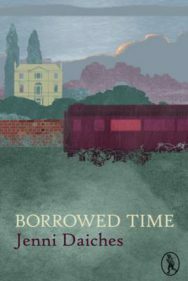 Borrowed Time by Jenni Daiches is out now published by Vagabond Voices priced £11.95.